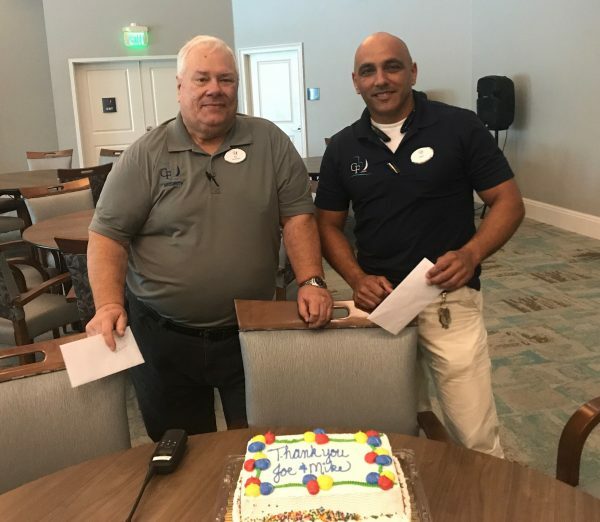 Two United Group employees were recently recognized for their efforts going above and beyond the call of duty to help save a life at Campo Felice, an independent senior living community in Fort Myers, FL. Joe Konkolics, Security Officer and Maintenance Manager Mike Borrego, discovered a resident in distress, and immediately took action. The men quickly called emergency medical services, and performed cardiopulmonary resuscitation (CPR) on the resident. Thanks to their quick thinking and willingness to lend a helping hand, the resident became conscious and began to breathe again. Joe and Mike both received a personal letter from United Group’s President and CEO, Michael J. Uccellini, thanking them for their gallant efforts, and Campo Felice employees showed thanks by hosting a celebration for them. 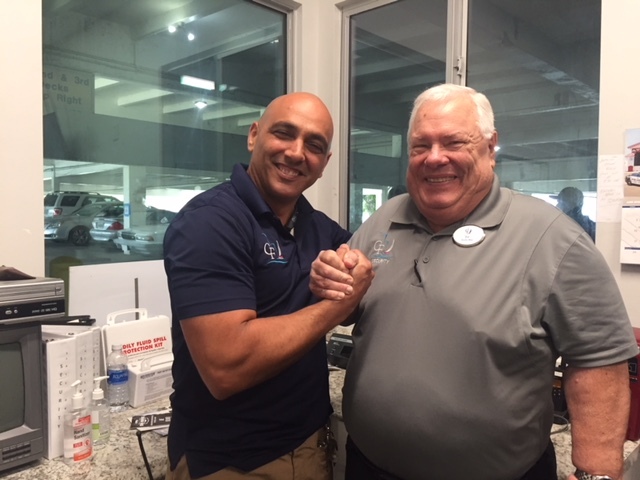 United Group is very fortunate to have heroes like Joe and Mike on United’s team, and are appreciative of their commitment to rise to the occasion to help someone in need.